The Forum Mall Koramangala, brings to you the Next mid season sale which is starting from 15th November and goes on till the 1st of December. Come and experience the best of British fashion on a discounted price of up to 70% off. 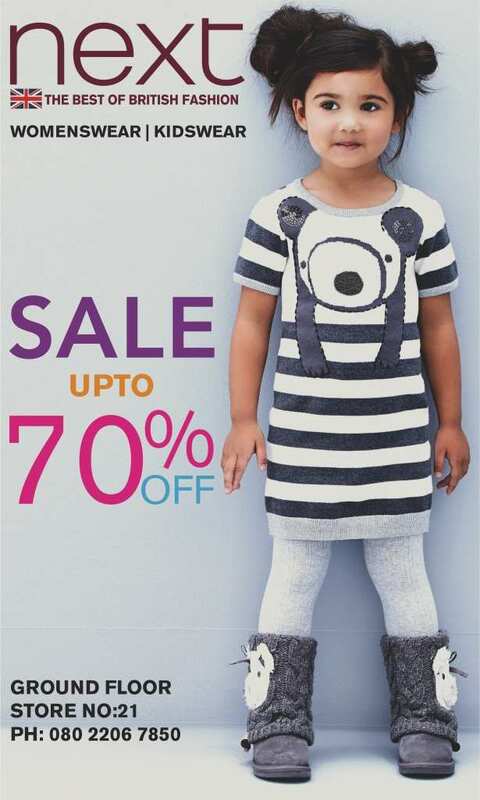 The sale is applicable on both women’s wear and kids wear. Don’t miss out on this exciting shopping experience; you’re bound to leave the store with lots of great finds!